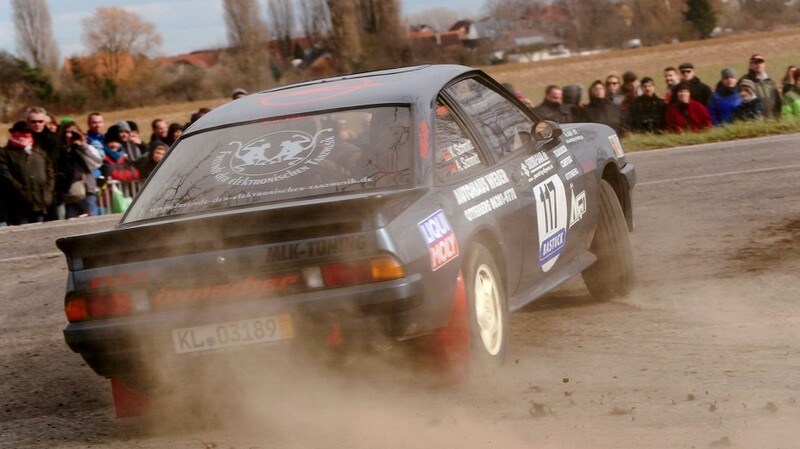 starting line with his vintage Opel at retro rallies. 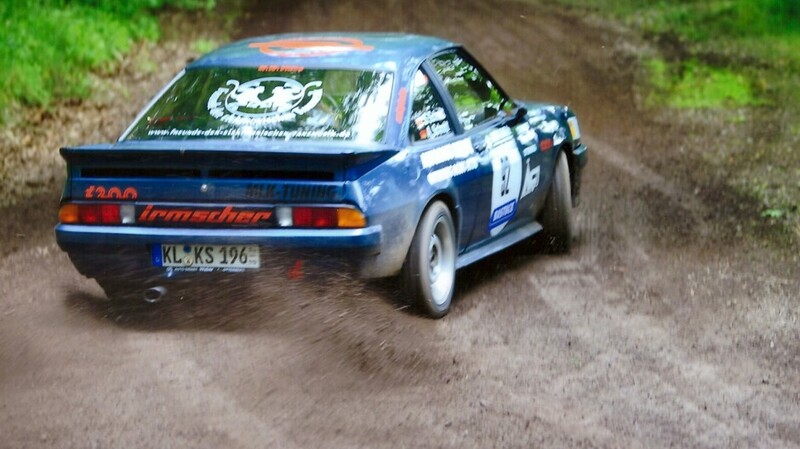 Arno Schmitt and his 1986 Manta B.
Arno and Kuno Schmitt have been back running rallies for three years now, although the breakneck speeds of yesteryear are a thing of the past. The goal in the Retro Rallye Serie, started by ADAC, is not to set the fastest time, but to finish within the allotted time. “This sometimes involves doing extra laps just for the public,” says Schmitt. The retro rallies have been run since 2006. It gives both young and old the opportunity to drive their cars fast, but not too fast. There is no pressure to beat the clock. Alongside the rally series, there have also been two regional championships since 2010, with the Schmitt brothers running in the southern regional series. 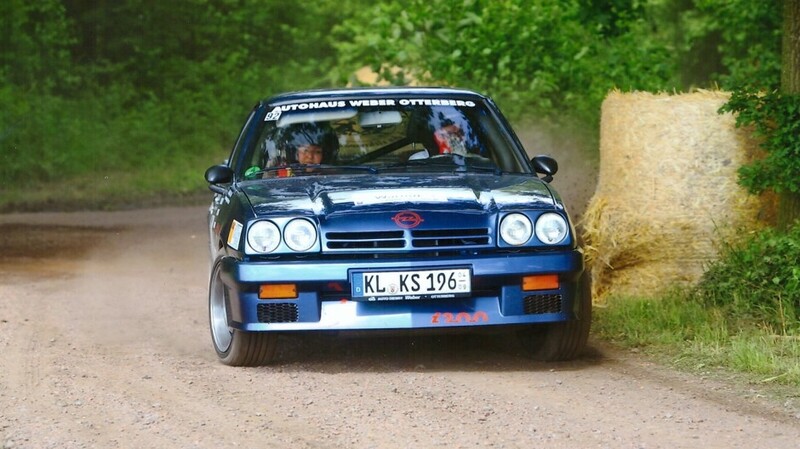 Their next races will be the Historic Rallye Alzey (30 August) and Historic Rallye Kohle und Stahl in the Saarland (13 September). Old love never rusts. Or does it? “There was a bit of rust,” he freely admits. This is why his Manta is scheduled to undergo an overhaul in two years. He will strip it down again, send the body for an anti-corrosion bath, and give it a fresh coat of paint. This time it will be white. Once a year, co-pilot Kuno has to move over for Selina Schmitt, who takes over his duties beside her father as navigator. “That was our arrangement.” Life has indeed come full circle. 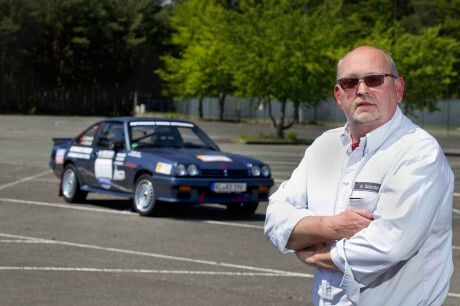 Arno walked away for rally racing to devote time to his daughter. Now she is by his side as co-pilot. “She’s done a great job so far,” her father says as he switches into first gear, not where you typically find it but all the way to left and down. “My Manta is equipped with a Getrag sports transmission. The gears are not where they would be in your average car,” says Schmitt as he speeds off. 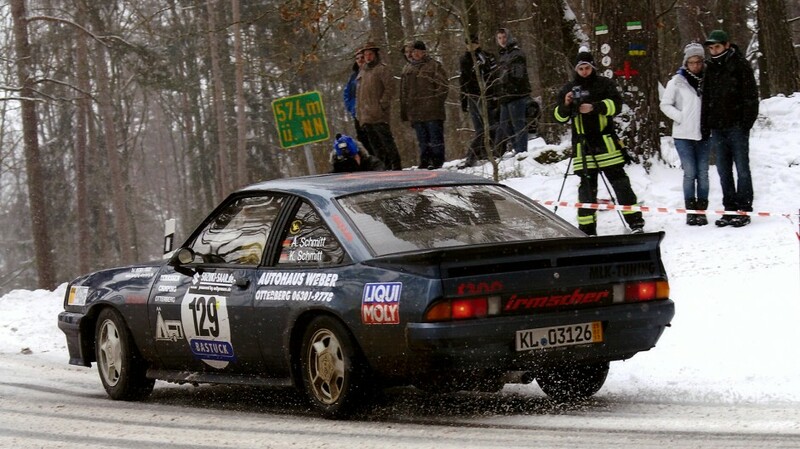 In reality, the Manta is simply the coupé version of the Opel Ascona. 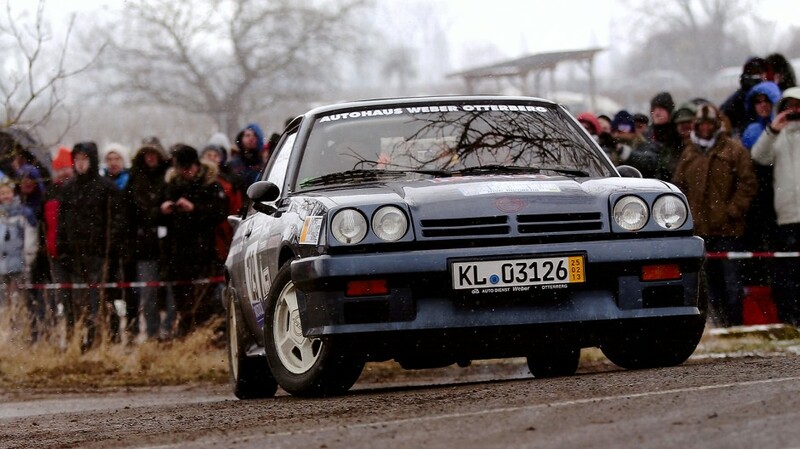 In spite of this, it captured the spirit of its time like few other Opel models before it. Beginning in the 1970s, its unique, sporty design, coupled with the proven Opel technology used in the Manta, was a hit as witnessed by the high number of units sold, with one million-plus Manta As and Bs built between 1970 and 1988. The B series, more than anything else, helped make the model a cult classic among tuners. The car is more popular than ever. The Manta gained almost 17 percent in value in the 2013 Oldtimer-Index (OTX). This index is based on an analysis of quoted prices performed by Germany’s ‘Motor Klassik’ magazine and registration figures published by Germany’s Federal Motor Transport Authority.